Most of us don't think much about odor until it strikes our home or workplace. But when it does, it can have a devastating effect on your life. This is especially true if the problem is due to harmful chemicals that not only smell bad but can also take its toll on your health. If you are reading this, you might be one of the unfortunate people who have encountered a serious odor problem. 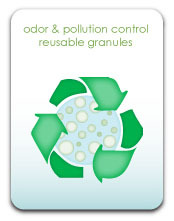 The good news is that we can help get smell out- safely, quickly, and cost effectively. Our Smelleze® Odor Eliminators are designed to attract smells like super magnet, quickly absorb them like a really thirsty sponge, and destroy them like a mighty ninja! Furthermore, they are reusable for years to save a ton of money. And since they don't require power, they will help conserve your energy as well. All you have to do is place Smelleze® in the sun for a day to refresh and you are good to reuse. It's that easy! 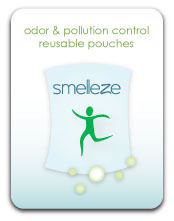 Our Smelleze® Smell Eliminator deodorizers also helps clean the air because they are not only remove the stench, they are also absorb the actual chemicals that are causing the stink. 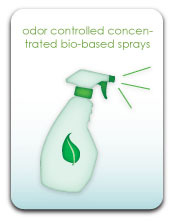 They don't just mask odors with some harsh scent like many generic products, they truly eliminate them. Furthermore, they don't emit or contain any hazardous chemicals so they are beneficial to chemically sensitive individuals. To add icing to the cake, our eco-smart Smelleze® Smell Eliminators are 100% safe, non-toxic, non-caustic, fragrance-free, and chemical-free. In other words, you never have to worry about using our deodorizers in your home around your loved ones or at work. They are not harmful even if accidentally ingested! So if you have a tough odor problem, we have a solution that works. Our specialty deodorizers are guaranteed to get smell out without cover-ups. You really don't have to put up with nasty odors or dirty air anymore! Upgrade the air you breathe with Smelleze® and your nose will thank you! IMTEK is a Carbon Neutral Company. Copyright � 2002-2012 IMTEK Environmental Corporation. All rights reserved.